This is a High Torque DC Motor 4500 RPM DC motor. It is most suitable for light weight robot requiring small power. This motor can be used with 69mm Diameter Wheel for Plastic Gear Motors and 87mm Diameter Multipurpose Wheel for Plastic Gear Motors. 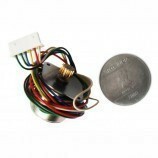 It is used for toy, power tool, air pump, robotics. 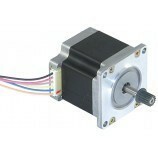 Also Searched as: 4500 rpm dc motor, 4500 rpm dc motor for robotics.